Enjoy FREE Registration for members and their guests to the Wheelchair Skills Assessment Training. 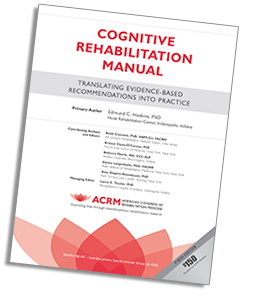 Registration includes COMPLIMENTARY CME/CEUs. 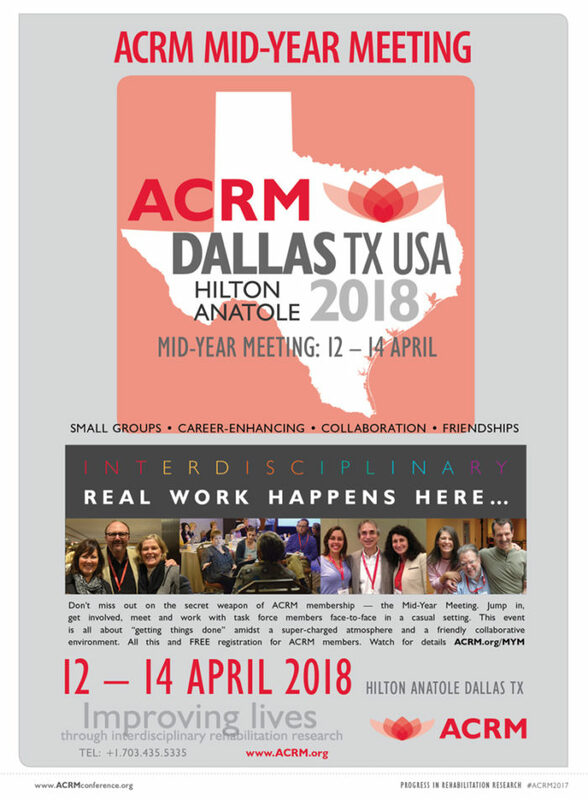 The ACRM Mid-Year Meeting is an opportunity to work with task force, networking group, and ISIG members face-to-face to tackle priority projects and advance the mission of ACRM. This small, intimate meeting is where the real work gets done and professional networks and collaborations develop. Engage in CV-building projects, lead a task force or work group, and network with colleagues who share your interests and expertise. The atmosphere is casual and welcoming, yet focused on the important work of advancing the ACRM mission to IMPROVE LIVES. Enjoy the convenience and savings of staying onsite with ACRM-only discounted rates. The largest hotel art collection in the US with over 1,000 exotic pieces. Registration for the Mid-Year Meeting is FREE for members (only $99 for nonmembers), but required. Plan to participate. Register Now! A message from ACRM President: Deborah Backus from ACRM.org on Vimeo. 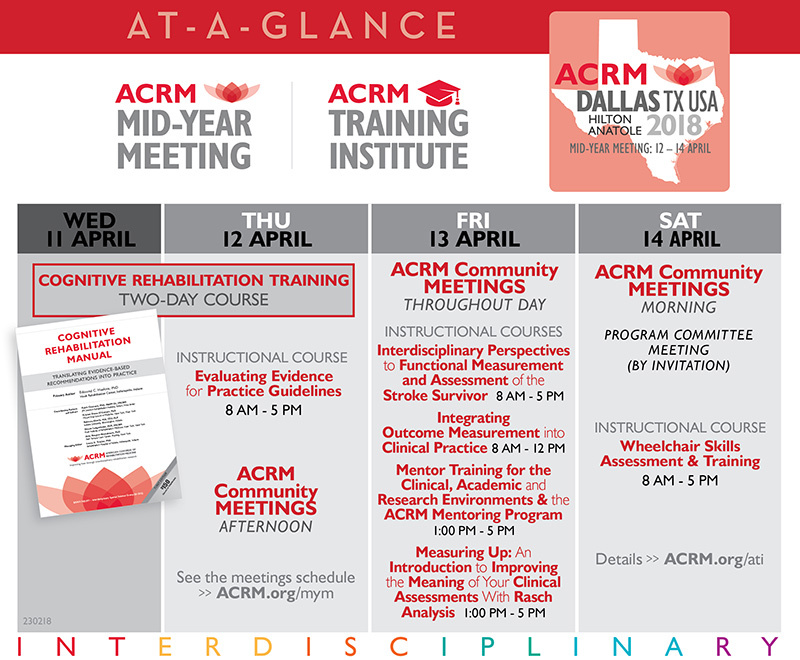 Check out the agenda of ACRM Community Groups scheduled to meet in Dallas during the ACRM Mid-Year Meeting and plan to participate.